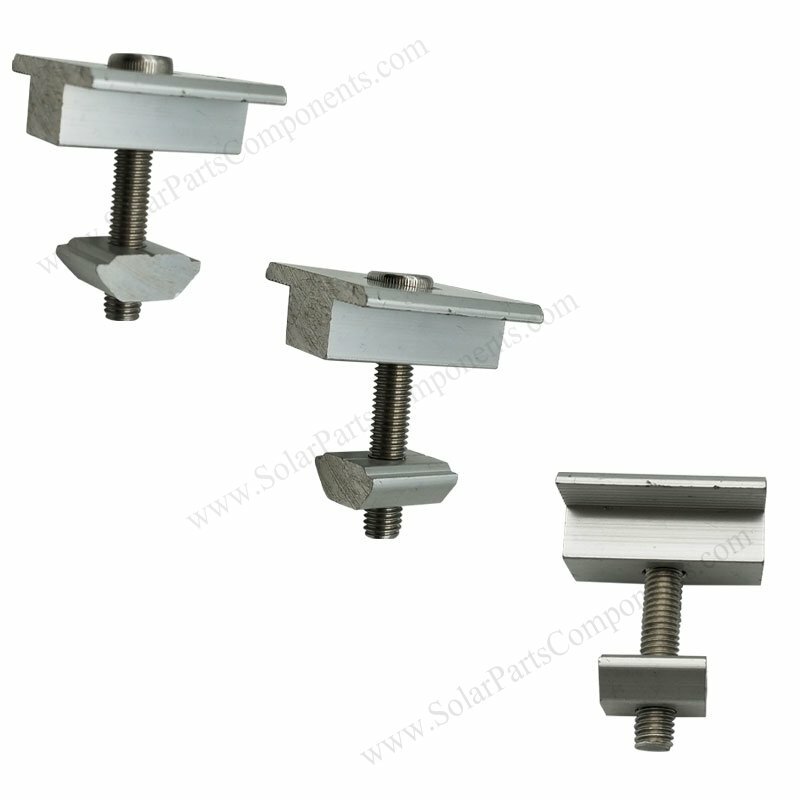 This PV module inter clamp is suitable for carports, roofing, ground mounting structures . 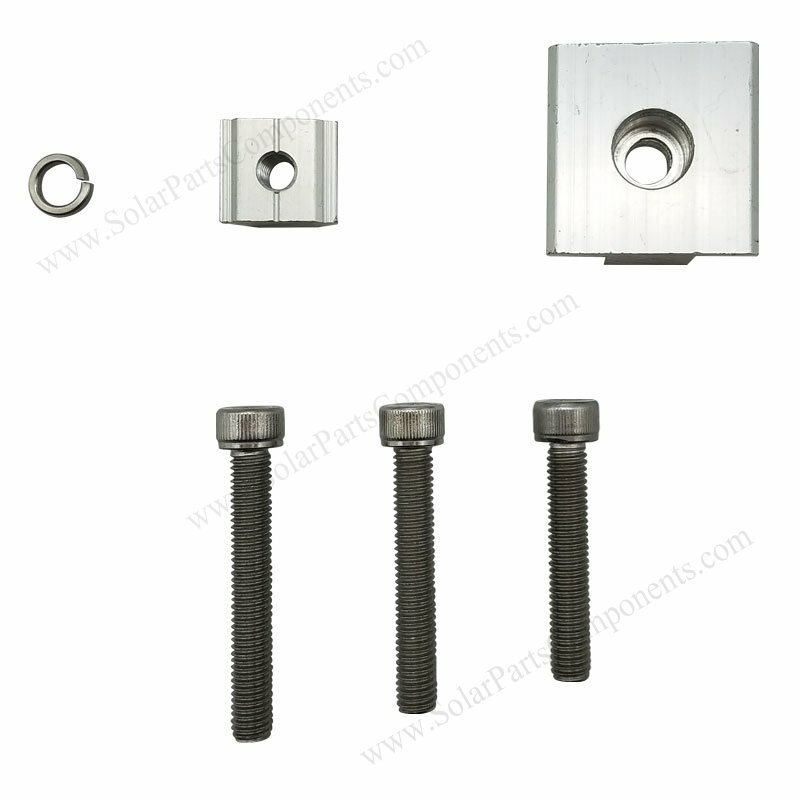 Our fasten parts for mid clamp is made of high quality hex SUS304 stainless bolts with sliding nuts . 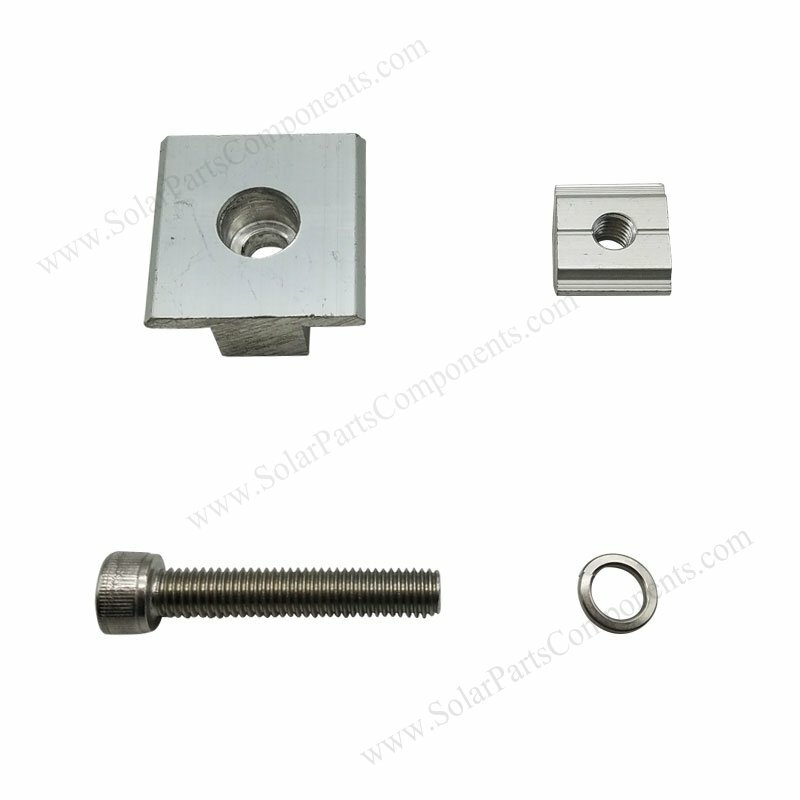 We can customized nuts for any aluminum extrusion / carbon steel profile besides our standard nuts for rails . 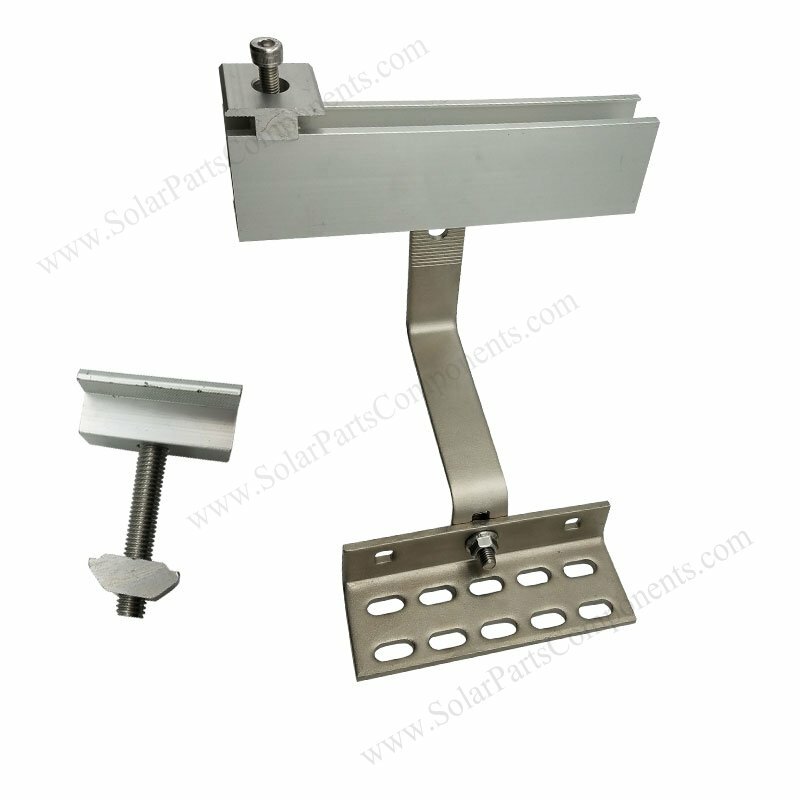 45mm, 50mm … Please select correct size depending on solar panel thickness . 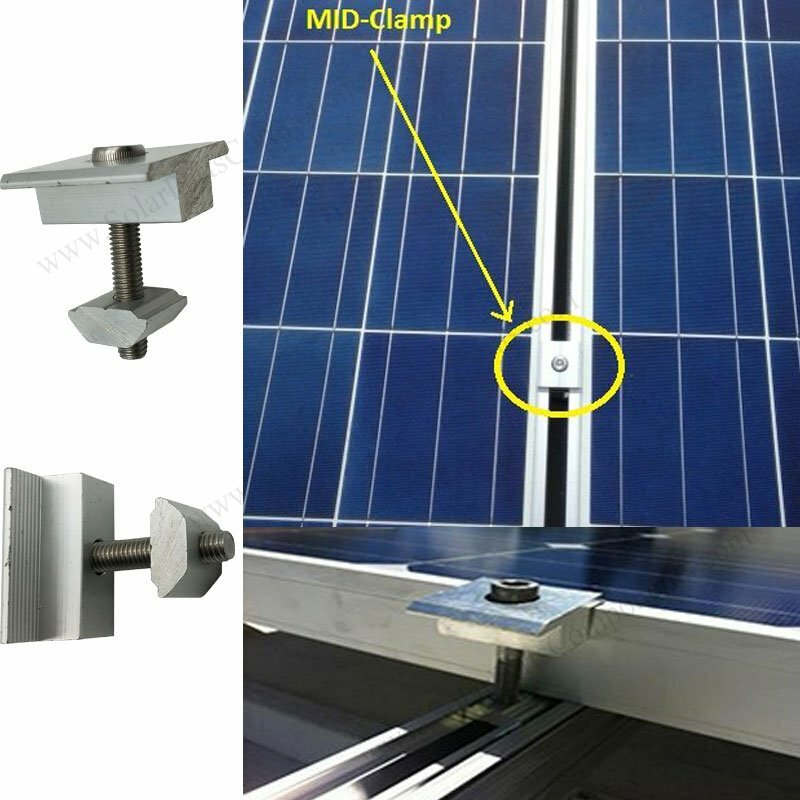 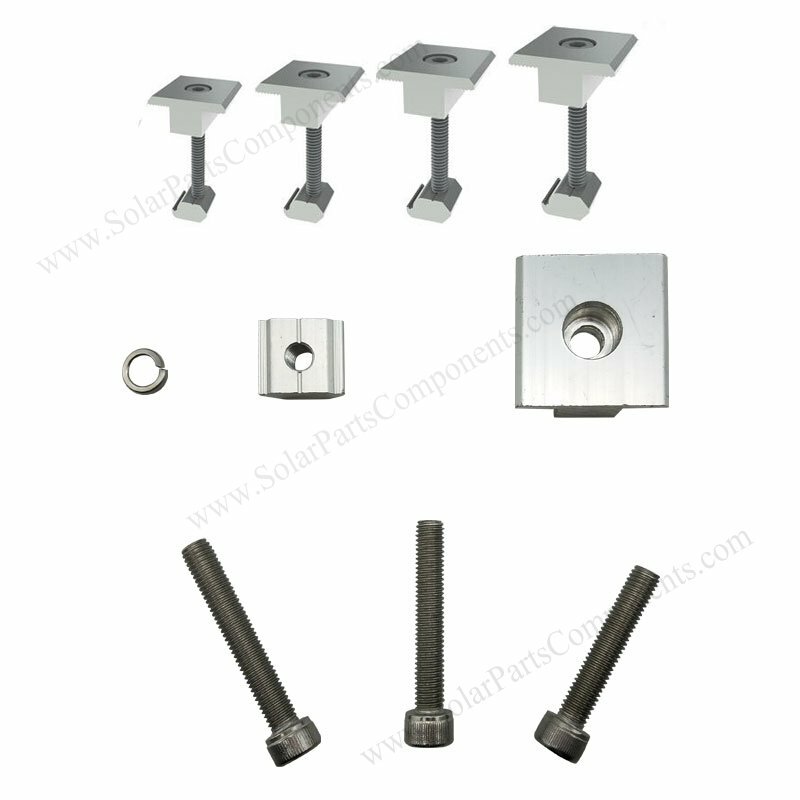 This inter clamp for PV module mounting can be pre-assembled together with our hexagon screws and other kits . 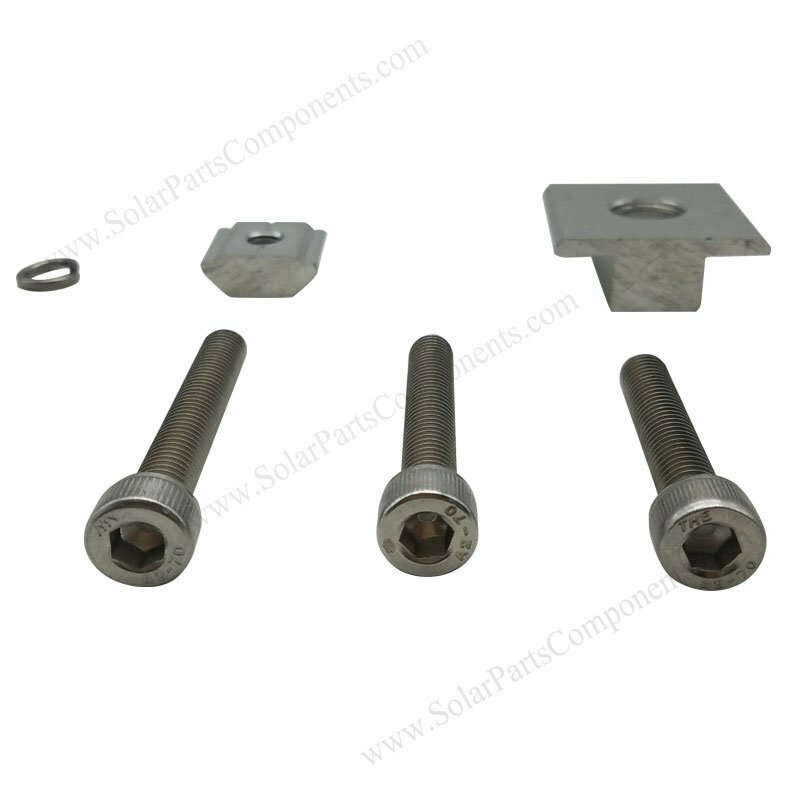 Spring Washer, one unit . 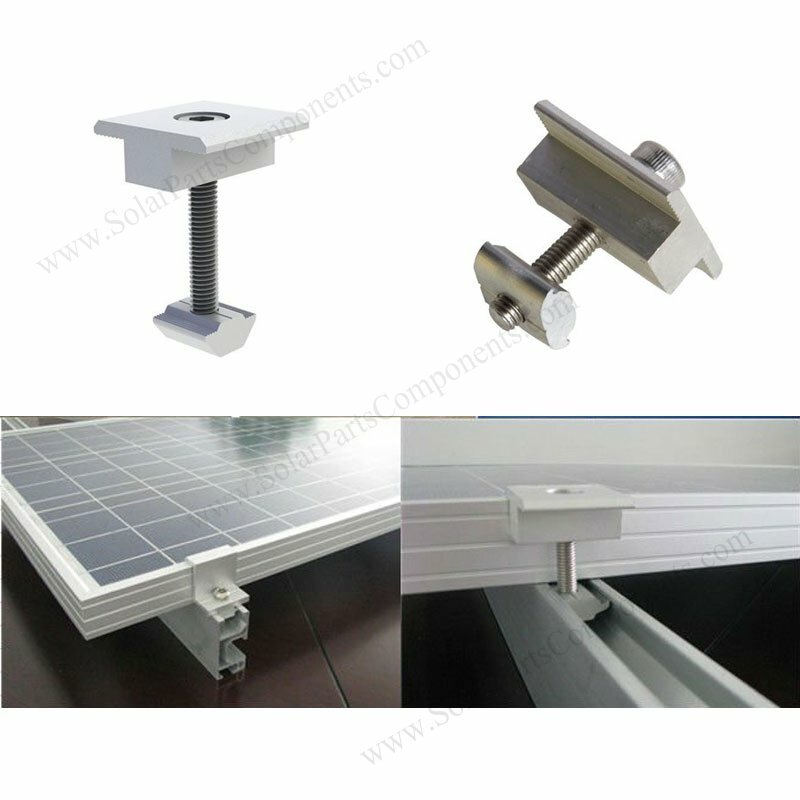 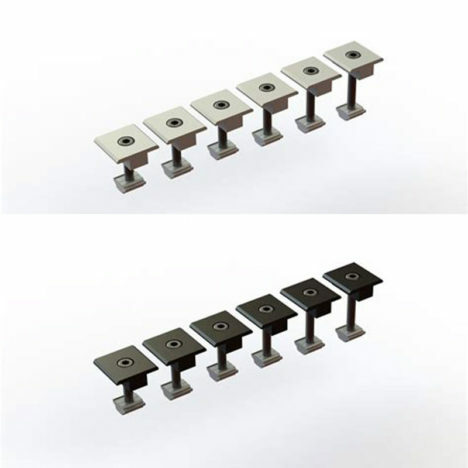 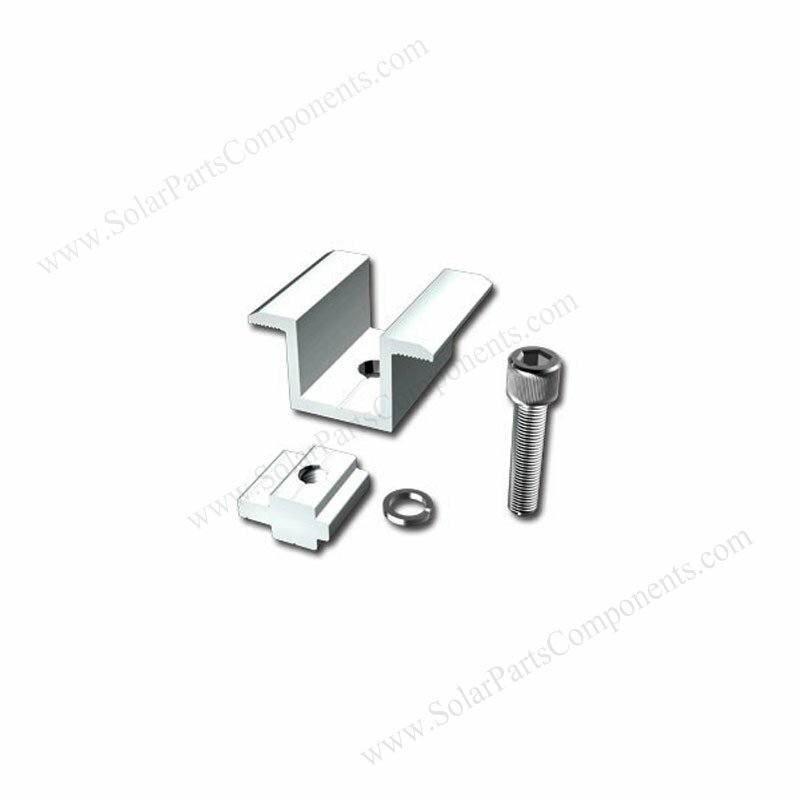 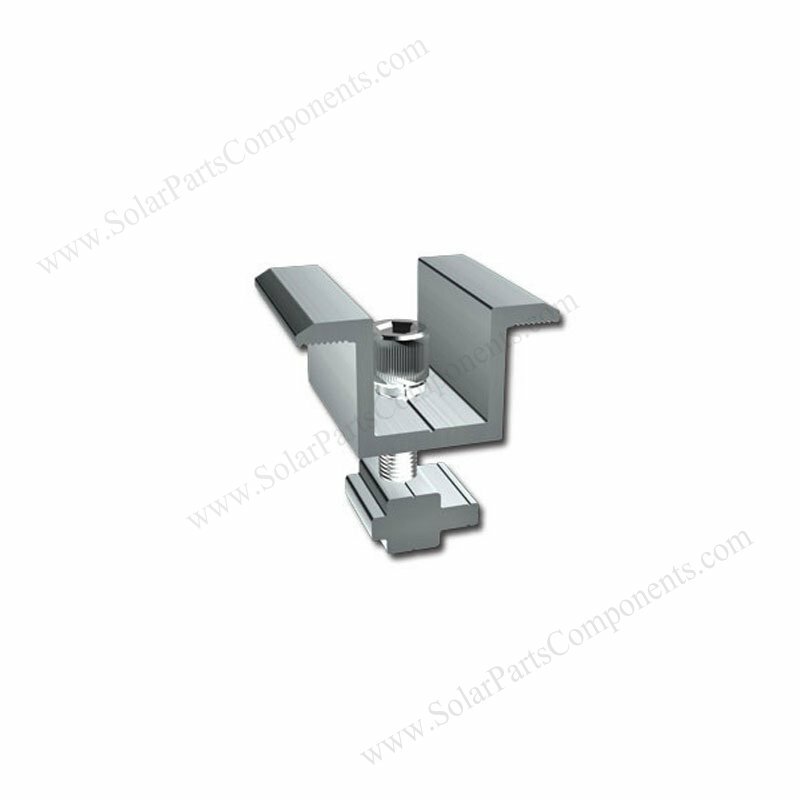 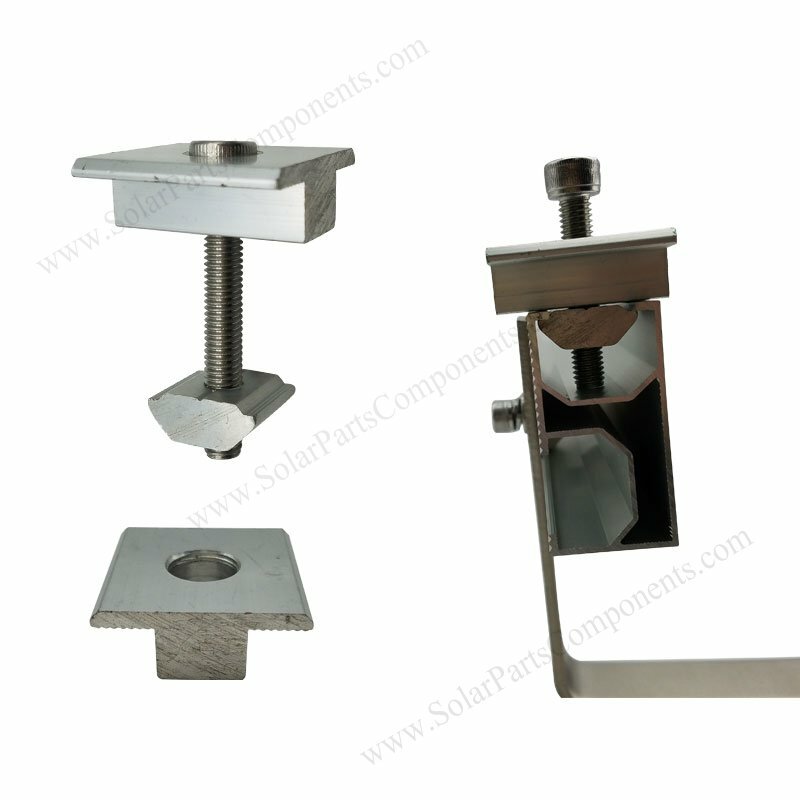 How to using this Inter Clamp Solar Mounting Components ?